Superdry women’s Alba floral long sleeve top. 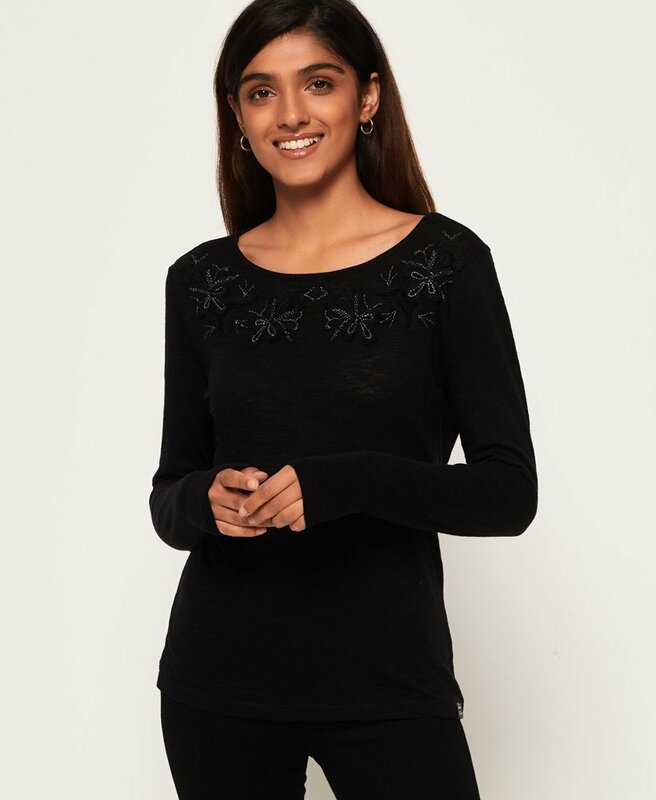 This long sleeve top is perfect for this season, featuring floral embroidery around the neckline. This top is finished with a Superdry logo patch near the hem.